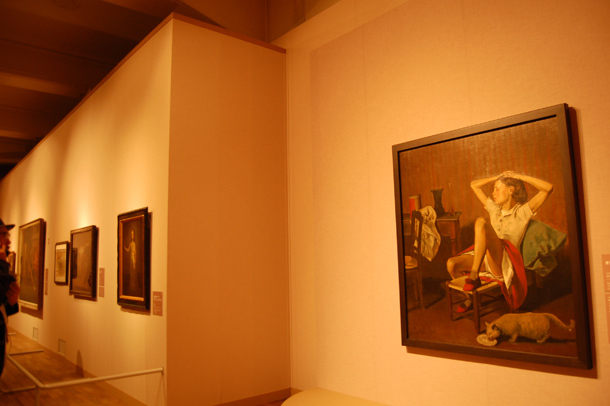 I went to the Kyoto Municipal Museum last weekend to see the Retrospective of Balthus prior to opening to public. 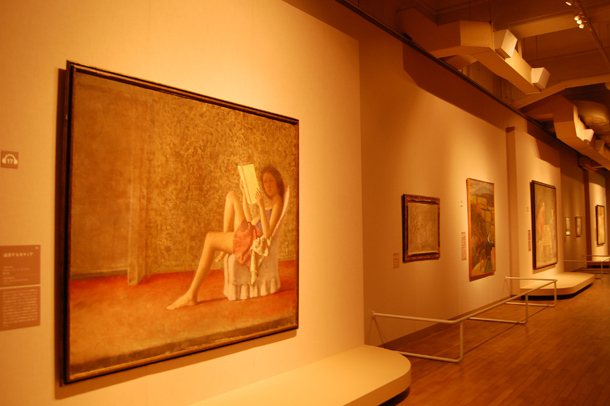 I remember that I was surprised to see the works by Balthus for the first time about 15 years ago in Paris. They were painted to focus the girls’ unique pose as if the girls were alive. They were realistic, provocative and quite different from other paintings of the Impressionism on the same floor of the museum. So I was so excited to hear about this exhibition in Kyoto and waiting for this day! 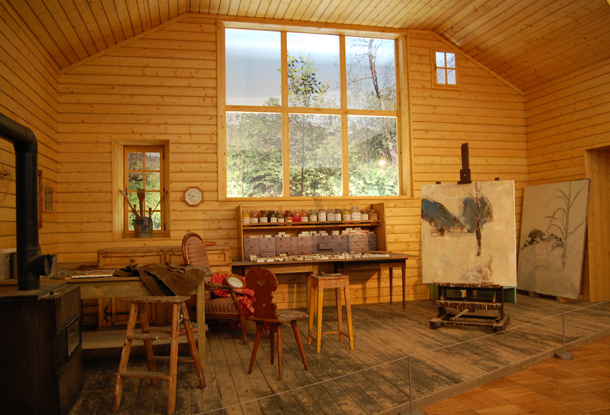 When you enter the exhibition, you can see the reproduced atelier which Balthus used to live in Swiss in his later life. 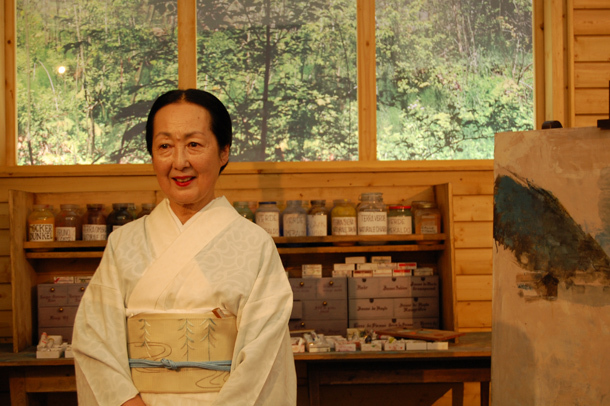 The beautiful Japanese woman with kimono in the photo is Setsuko, the wife of Balthus. She cooperated to provide his works for this exhibition. Balthus was influenced by Japanese art before he married to Japanese woman, and after the marriage his interest was spread to all areas of Japanese culture such as literature, kimono etc not only art. This exhibition has been held until this autumn. I’d like to recommend you to spend one day to see fine art in an air-conditioned museum during sever summer of Kyoto. The invitation tickets (a few more) for GTK readers are still available.